Since 1975, Flannery Trim has focused its efforts on manufacturing a range of trim products that are designed to complement both interior and exterior wall systems. 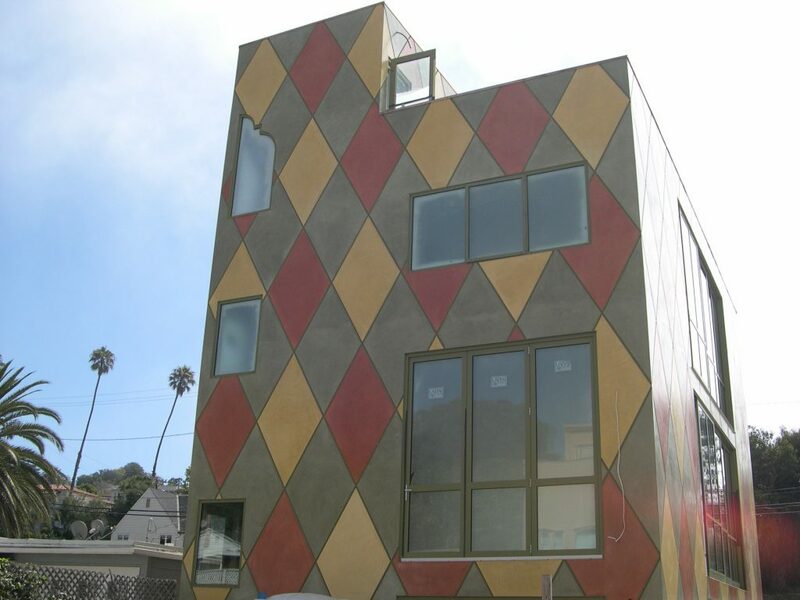 Based in Los Angeles, Flannery continues to operate as a family-owned and operated aluminum and steel trim manufacturer whose products are made exclusively in the United States, but are available to the construction industry worldwide. Flannery Trim is pleased to provide the necessary technical assistance and customer service that will enable any builder, architect or owner to succeed in their building design. 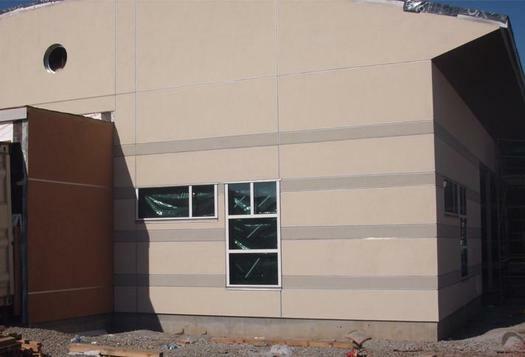 Flannery Trim offers a variety of extruded aluminum trims designed to meet the aesthetic needs of any wall system. In addition to standard aluminum trim for drywall and plaster, millwork and cement panel trims are available as well. 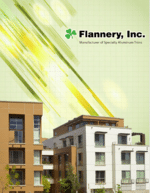 Flannery also specializes in manufacturing custom extrusions that provide seamless solutions for homes and buildings from the modern to the historic. Flannery Trim provides a number of continuous soffit vents that give architects and contractors options they need to address typical soffit ventilation issues. 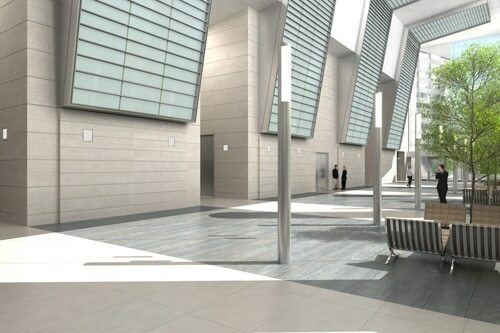 We offer several aluminum trim shapes for various soffit and ceiling applications. Whether you need to vent a stucco or EIFS soffit, or maybe need to replace an existing vent, Flannery's vents are sturdy and aesthetically pleasing ways to incorporate air flow into an exterior soffit system. Flannery Trim manufactures an entire spectrum of high-quality metal brake shapes that are available in copper, aluminum, stainless steel and galvanized steel. The brake shapes that we offer include custom J-shapes, flashings, and weep screeds that assist in the movement of moisture through and away from an exterior wall system. The variety of metals that can be utilized in the manufacturing of these trims allow for the different climate zone requirements of a particular construction project. Are you in need of a drywall edge trim, bullnose corner or interior door and window trim? 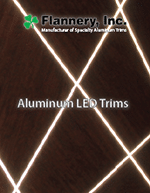 Flannery Trim manufactures an array of different steel trims for interior gypsum board. After 40 years, we still manufacture our very first trim known simply as FAST MASK. Many of our steel trims are utilized in residential construction including single-family and multi-family housing. Flannery Trim offers a variety of specialized tools and products manufactured from vinyl or PVC material. Many of these products are integral in helping contractors effectively address certain inevitable finishing issues such as drywall mud application or the proper embedment of stucco wire within a plaster finish. Flannery's vinyl products are extremely versatile in the field and are constantly allowing for improvement in the completion of many different projects. In order to better meet our customers' needs, Flannery Trim offers numerous finishes on our extruded aluminum products. From a mill finish that can be primed and painted out in the field to coated finishes, Flannery Trim offers an impressive range of options. Color anodizing, factory Kynar paint and powder coating are all available. In addition to factory paint, Flannery offers an array of custom polishing and brushing that includes bronze to nickel color finishes.